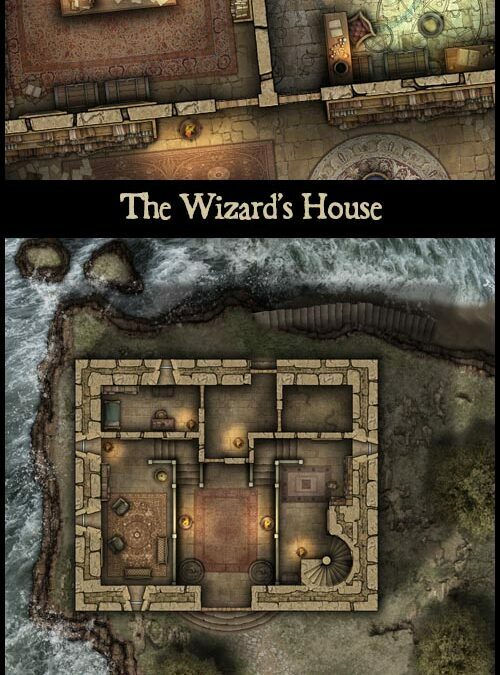 The Wizard’s House is a five storey Tower on rocky coastal cliff. It’s the perfect location for a base of operations, or somewhere to rest between adventures. 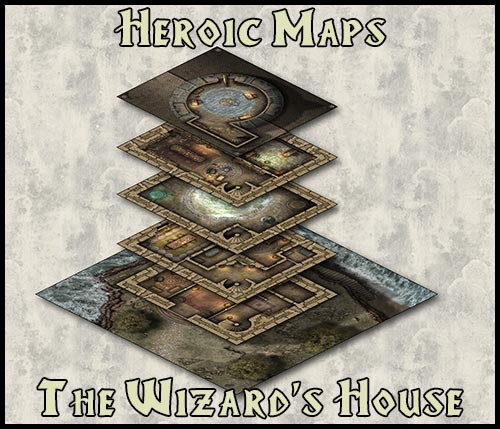 The Wizard’s House is a set of printable dungeon floorplans compatible with any RPG/Dungeon-Crawl game. It can be used as a standalone gameboard, or combined with any same-scale tileset. 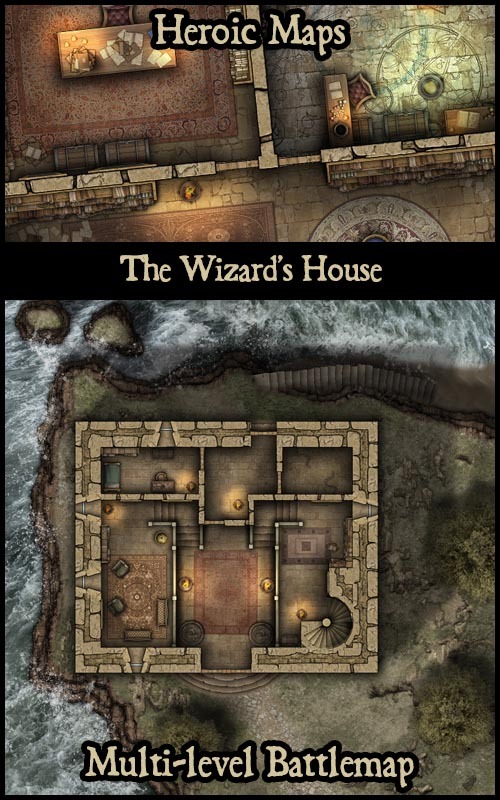 Ground Floor (20×20) – The ground floor of the tower is situated on a rocky coastal cliff, and has a entrance hall, servant quarters and a cell. First Floor (12×10) – This floor contains living quarters, including bedrooms, a kitchen and a dining room. Third Floor (12×10) – This floor is given over to spellcasting. Fourth Floor (12×10) – A rooftop observatory, with a telescope and domed roof. The Wizard’s House is part of the Tower Builder range. You can put the floors in any order, or add in floors from other maps in the Tower Builder range to make custom towers. Each Tower is associated with a different class or character type, making them perfect as a base for your character.